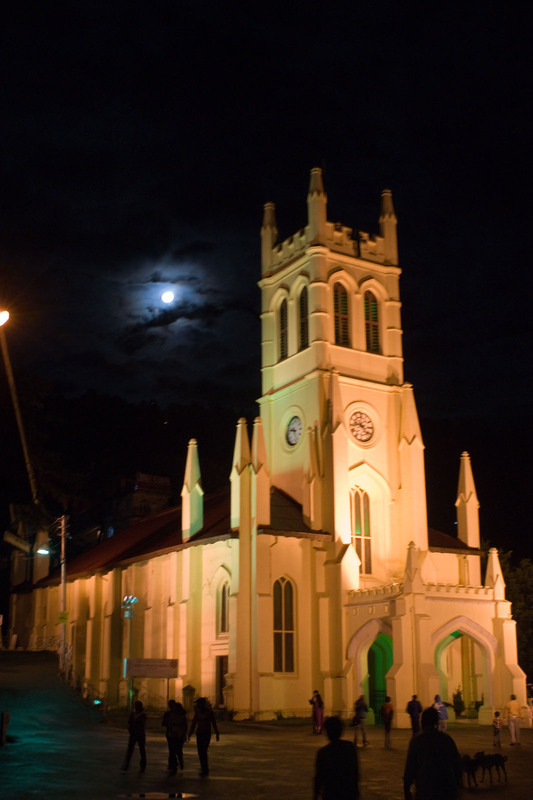 Christ Church, Shimla, is the second oldest church in North India, after St John's Church in Meerut. It is a parish in the Diocese of Amritsar in the Church of North India. Its current incumbent is The Rev. Mushtaq Achher Malk, B.D., M.Th., whose ecclesiastical designation is presbyter-in-charge. Worship is conducted in Hindi and English. I visited this wonderful historical church in 2008 as part of my visit to India, and attended the morning Sunday service. It was a most welcoming place and lovely to chat to the Reverend comparing the styles of there and an English service.